This little snail is a copy of a snail forming part of the embroidery on the gauntlet of a glove made c1595-1605. 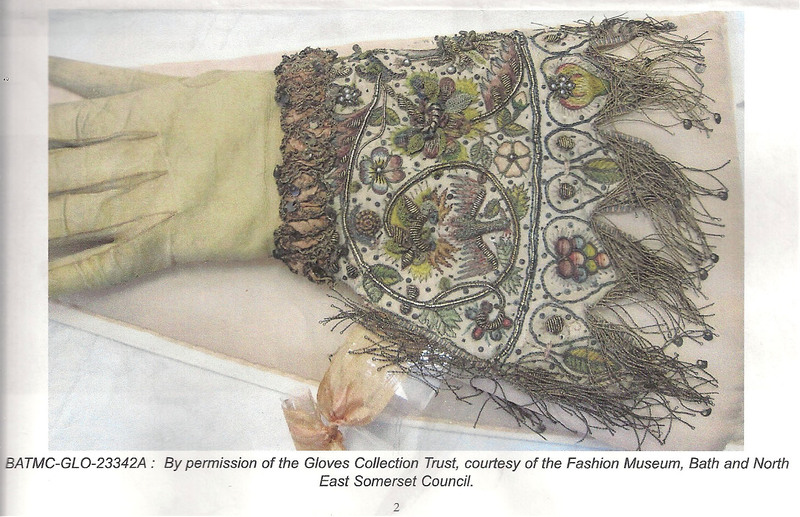 It is held by the Fashion Museum in Bath, UK, and is owned by the Gloves Collection Trust. This little fellow is 1 1/4" from nose to tail and has some resemblance to the kit-maker's sample but with a few slips ! 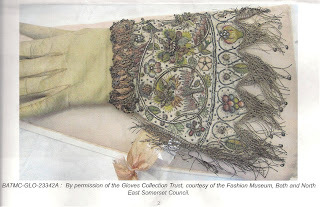 It was made from a kit from Thistle Threads and a donation of $7.50 is made from the sale of each kit to the Fashion Museum to help buy conservation storage boxes to re-house the Glove Collection. 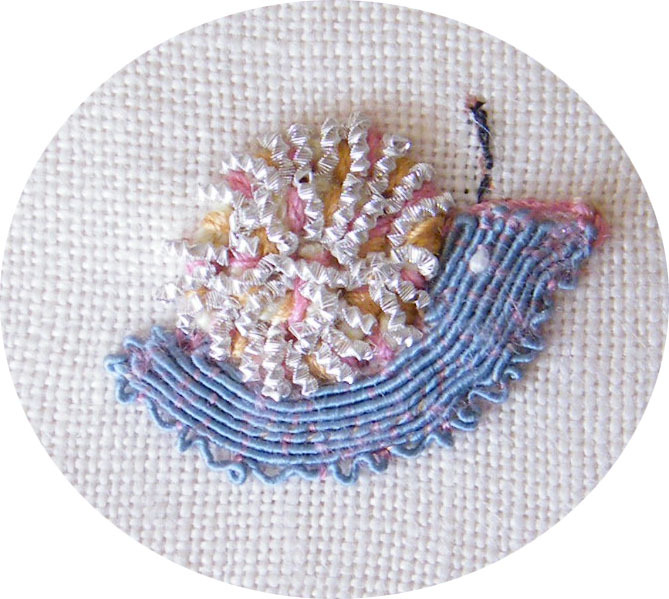 In the following image, which was part of the kit instructions, you can see the snail towards the bottom left hand side of the embroidery near the fingers, sitting on the curved line. I just love this glove.